The U.S. Demographics are diverse than ever in terms of audiences and this affects all the industries. The ski industry is another market that faces challenges in the next future. According to ReachMulticultural, since the late 1970’s through today, skier numbers in the U.S. has remained relatively flat. With the aging baby boomer population which is a key part of that number, the challenge of how to replace those skiers is at the forefront. As populations change, especially in California and Colorado cities that feed many winter destinations, there are some efforts to reach out to different segments of the population. But is it enough? and will these populations be receptive? Diverse audiences in San Francisco, Denver, Los Angeles, New York, and others are key to the success for winter destinations. 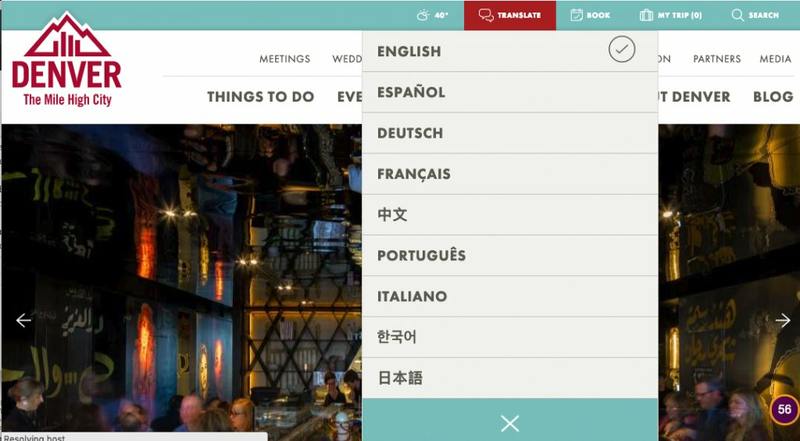 Visit Denver offers multilingual options for multicultural audiences. For sure, there’s a lot for work to do. Most of the ski centers are just doing their first steps into this transitional process to focus on multicultural audiences. To set different Languages on their websites is not enough. They need to work consistently with the media plan and communications in order to reach effectively the right market. Fortunately, some of them are going in the right direction from the use of new technologies perspective. This is the case of a 360° video ad, where combining immersive and experience with technology, the result is something amazing. Check the video out. 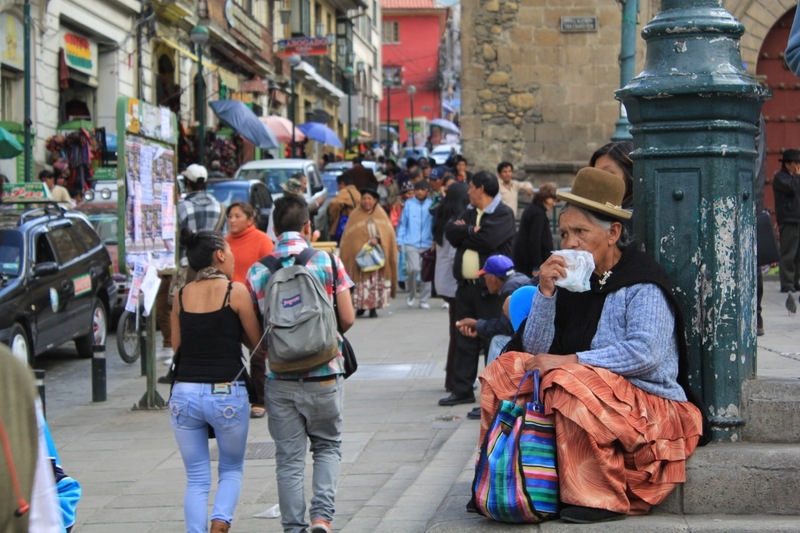 Planning to travel to South America? What about the North of Chile? Chile is an easy country to visit. 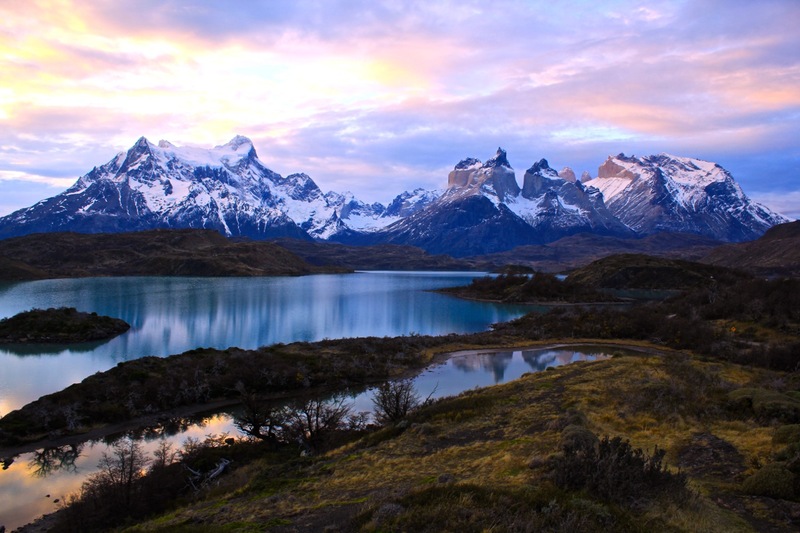 For U.S. citizens entering Chile must have a valid passport. U.S. citizens traveling to Chile for recreation, tourism, business, or academic conferences do not need to obtain a visa prior to their arrival in Chile. A Tourist Card will be issued for a stay of up to 90 days. 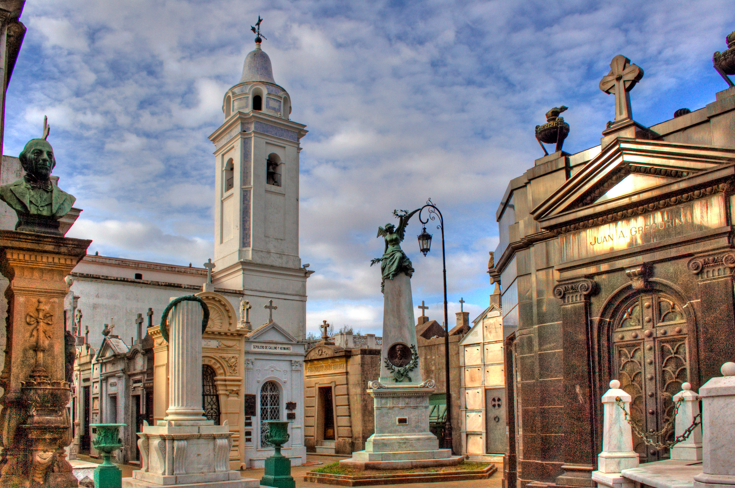 Santiago is the capital of Chile; it’s a cosmopolitan city with excellent hotels, restaurants, bars and shopping from tiny boutique and craft fairs to giant shopping malls. There are many social and cultural attractions such as art galleries, museums, theaters, opera and ballet, lively nightlife, parks, etc. Because Chile is a very long piece of land, its extremes are very different; the North is hot and the South is freezing. Well, if you prefer places plenty of sun, certainly the north should be your destination. In the North of Chile there are thousand of impressive places for visiting and we would like to recommend one: San Pedro de Atacama. Here you can find unique regions like Valle de la Luna, flamingo populations, and sand dunes. For one of the most spectacular places to spend a sunset, do not skip the desert. The following video is a 360-degree video compilation about the driest desert in the World, the Atacama Desert. To enjoy this immersive video, please click on the video and move it in any direction to watch everything around. If you are using a mobile device, simply drag and drop with your finger to move the point of view of the video Enjoy it! Because we know that is difficult to image a place like this before to travel but we would like to recommend a website where you can visit “virtually” this place in www.chilein360.com. For sure, you will like to be there in your next vacations. 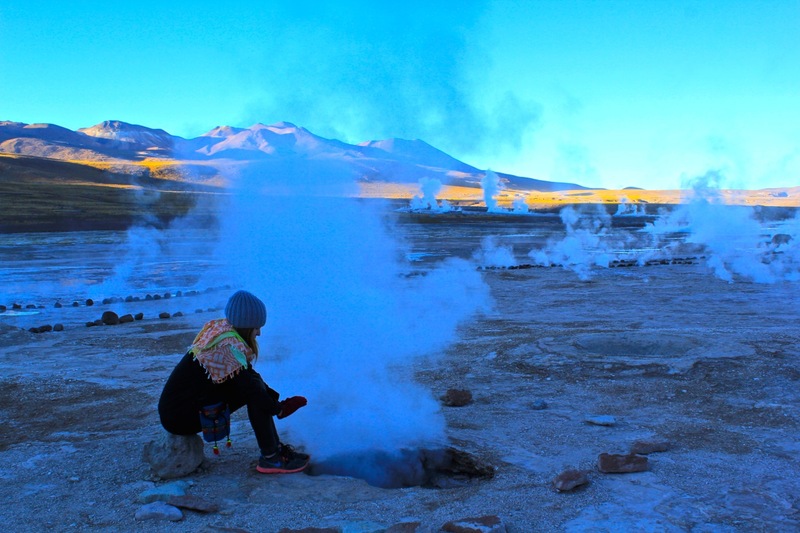 El Tatio is ringed by volcanoes and fed by over 80 gurgling geysers and a hundred gassy fumaroles. Contrary to popular opinion it is not the world’s largest geyser field, but the third largest. 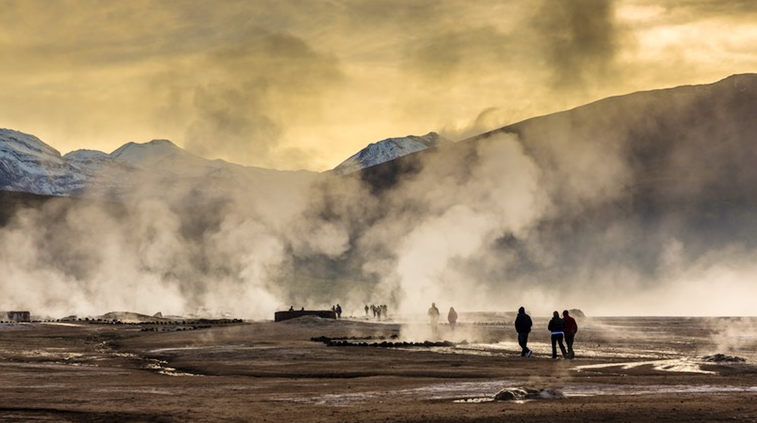 The best time to see the geysers is 06:00, so make sure you wipe the sleep from your eyes if you want experience the awesome spectacle. Check it the most amazing Oasis in the dessert. Watch your step – in some places, visitors have fallen through the thin crust into underlying pools of scalding water and suffered severe burns. Dress in layers: it’s toe-numbingly cold at sunbreak but you’ll bake in the van on the way back down. Read more: Being refused entry into Brazil – What do you mean I need a visa!? Images 1-8; 11; 13; 16; 20; 23-25 sourced on Pinterest – Follow @worldofwlust on Pinterest for more travel inspiration! Like in other new world wine regions, such as New Zealand and South Africa, a Chilean wine will boast its grape front and center on the label. Chilean law requires that that the stated grape, vintage, and geographical area (Denominación de Origen) make up 75% of what’s in the bottle. That’s right, up to a quarter of the bottle’s contents doesn’t need to be disclosed. But in practice, most Chilean wines will contain at least 85% of what’s claimed on the label, so the bottles remain legal for distribution in Europe. One heads up: some terms on Chilean wine labels aren’t that helpful. For example, Reserva or Reserva Especial indicates that the wine is at least 12% alcohol. Reserva Privada and Gran Reserva bump that requirement up to 12.5%. Additionally, Reserva Especial and Gran Reserva can be used if the wine has seen at least a little oak. But none of these terms will actually give you any sense of quality: for example, you could buy great Sauvignon Blanc from a chilly vineyard that doesn’t meet these requirements, and crummy Cabernet Sauvignon from a hot area that does. One glance at a map and you know that the geography of Chile is truly unique. While it would take you a week to drive north to south, you could explore the widest point from east to west in a single afternoon. The Andes divide the country from Argentina—whose famous wine region of Mendoza is just a couple hundred miles east of Chile’s capital, Santiago. Though the country is quite narrow from east to west, you may soon start to see some wine labels clarifying where the vineyards fall: Costa (near the coast), Andes (near the mountains), and Entre Cordilleras (in between). Thirsty yet? 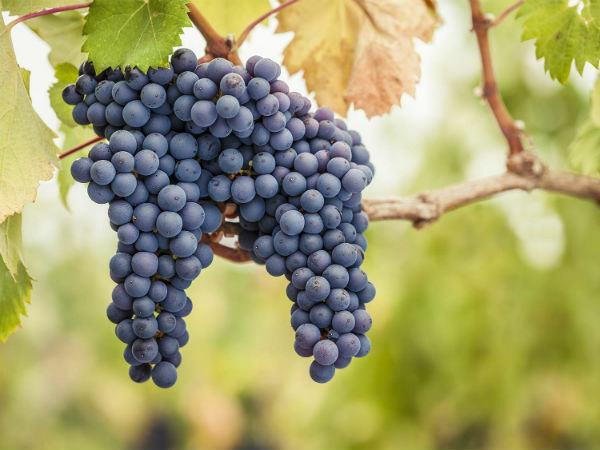 Let’s take a look at the major grapes you’ll find in Chilean wine. Bright, herbal, and tart: much of the best Chilean Sauvignon Blanc comes from the coastal Casablanca and Leyda valleys. These spots receive chilly ocean breezes, keeping the grapes fresh-tasting while they ripen in the warm sun. If you enjoy zippy Sauvignon Blancs from New Zealand, try the Anakena Enco 2012 Sauvignon Blanc ($11) from the Leyda Valley. The aromas of parsley, jalapeño, and grapefruit burst from the glass. The vibrant acidity makes it a great pairing for anything you’d squeeze a lemon on—try it with seafood. Much like coastal regions of California, like Sonoma and Santa Barbara, cooler climates around Chile allow Chardonnay to shine, retaining acid and avoiding overripeness. Look for wines from the sea-influenced Casablanca and Limarí Valleys or the southern, wind-blown Malleco Valley. One bottle we love: Viña Aquitania’s 2009 Sol de Sol Chardonnay ($28) is fermented in oak, yielding a rich texture (and hints of roasted hazelnuts) beautifully balanced by lots of acidity. Each sip offers a taste of crisp red apple, bright lemon, and sour cream. The northernmost region of Coquimbo is more known for its pisco than fine wine. But some producers here are making great wine from grapes once considered only fit for distilling. Try Mayu’s 2014 Pedro Ximenez ($13) from the Elquí Valley. It’s perfect for a summer picnic, full of tart lime and white grapefruit flavors—nothing like the sweet, viscous Spanish wines made from this grape. Up for more exploring? One of my favorite Chilean whites is Casa Silva’s 2012 Sauvignon Gris ($16 ) from Colchagua. The vines for this bottling date back to 1912—it’s a reminder that Chile is no newcomer when it comes to wine. The grape name may be unfamiliar, but the wine is delicious, with a rich texture and peachy-honeydew flavors that make it more comparable to an Oregon Pinot Gris than your average Sauvignon Blanc. It balances a creamy texture with tons of freshness; serve it with picnic charcuterie or a nice plate of seared scallops. Cabernet Sauvignon thrives in the sun-drenched Central Valley, a large area around Santiago that is made up of four other valleys: Maipo, Rapel, Curicó, and Maule. If you are a looking for the best of Chilean Cabernet Sauvignon (and you have deep pockets), seek out bottles from the renowned district of Puente Alto, known for gravel soils that some compare to the vineyards of Bordeaux. Famous bottlings from this region include Concha y Toro’s Don Melchor Cabernet Sauvignon blend ($75) and Errazuriz’s Viñedo Chadwick Cabernet Sauvignon ($160). Chileans have grown Carmenère for over a hundred years, but it was long mistaken for a type of Merlot. It wasn’t until 1994 that the grape was correctly identified. You can also find it in southwest France and Italy, but Chile has been flying the Carmenère flag the highest of all. Carmenère has a lot of ‘green’ flavors—think tomato leaves and green bell peppers. Some might call them a turnoff, but when these traits are balanced with acid and freshness, an herbal, vegetal wine can pair quite well with food, especially—you guessed it—herbs and vegetables. “It’s like hoppy wine,” Chris Raftery, a sommelier in New York observes. If you’re a fan of, say, Cabernet Franc from Chinon in France, these are wines you should seek out. And if you love IPA, these herbal, green aromas might not be new to you: “It’s like hoppy wine,” Chris Raftery, a sommelier in New York observes. If you’re just getting started with Carmenère, you might as well go to the source: De Martino was the first to bottle the grape on its own, back in 1996. The De Martino Legado Reserva Carmenère 2012 ($12) from Maipo has the grape’s characteristic tobacco and bell pepper flavors, but they’re well balanced with black cherry and a hint of smoke. Syrah lovers will find that Chile has a bunch of great wines to discover: wines that highlight ripe, supple fruit flavors while letting Syrah’s classic peppery, bacony flavors shine through. High altitude and coastal breezes help moderate the heat of the northern valleys of the Elquí and Limarí, where Syrah thrives. I love the combination of ripe plum and savory black olive flavors in Merino’s 2012 Syrah($16) from the Limarí Valley, which is made with a splash of Viognier, just like they do it in the Rhône. Growers in the Maule Valley have a treasure-trove of old-vine Carignan that is just coming into the spotlight today. Carignan vines were planted after a devastating earthquake in 1939 that left growers with scant crops. The grape thrives on the dry, hot climate of the Maule Valley—a climate not too different from that of Southern France or Spain, where the grape is called Mazuelo and Carineña. These old vines produce tannic, high acid wines that mingle fresh raspberry and black cherry flavors with an earthy, cedar-wood edge. You may spot bottles with ‘Vigno’ on the label: this stands for Vignadores de Carignan, a group of growers in the Maule offering wine from vines that are at least 30 years old and dry farmed (that is, grown without irrigation.) One favorite: Garcia + Schwaderer’s 2010 Maule Valley Vigno Carignan($40). Brambly blackberry and white pepper flavors, significant tannins, and lots of acidity make this a fantastic match for a fatty steak. Other producers to seek out include Gillmore and Garage Wine Co.
Drive toward Antarctica and you’ll hit the the valleys of Itata, Bío Bío, and Malleco. Thanks to the cooler temperatures in these regions, Pinot Noir can ripen slower over the growing season, which helps the grape keep its nuanced aromas and fresh acidity. Up for an adventure? The Clos de Fous Latuffa 2012 Pinot Noir ($30) from Traiguén in Malleco is unlike any wine I’ve tasted. One of the partners in the project is Pedro Parra, a wine terroir consultant who is really pushing for the discovery and appreciation of Chile’s soils. There are classic pinot flavors of black cherry and rose petals, but it’s all wrapped in an intriguing combination of gentian, sage, and pine that’ll have you thinking of your favorite amaro. Note: Casa Silva, Clos de Fous, Merino, Sol de Sol, Garcia + Schwaderer, and Mayu were provided as tasting samples for review consideration. Stacey Gibson is an Advanced Sommelier, practicing her craft as wine director at the Bruce Carey Restaurant Group in Portland, Oregon. Follow her on Twitter @stacey_gib. Every month (most of the time), Kristin Addis from Be My Travel Muse writes a guest column featuring tips and advice for solo female travelers as I obviously can’t talk expertly on the subject! 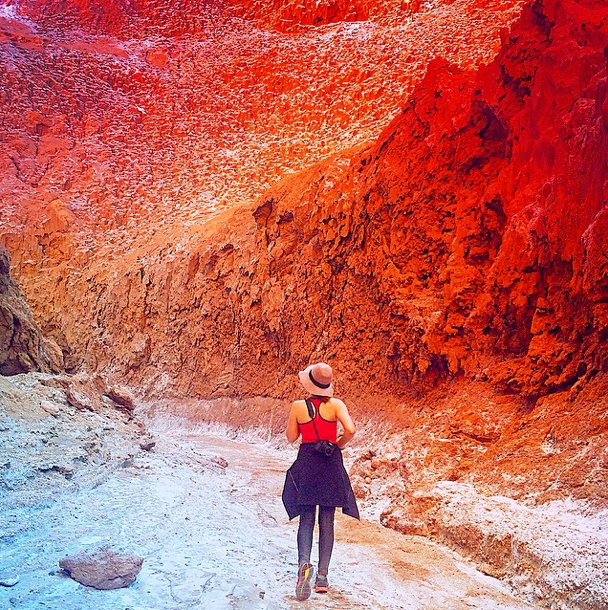 She’s back this month with an awesome list of destinations for female travelers! Traveling solo is a unique opportunity to find out exactly who you are in completely new surroundings and without anyone around from your past to influence you. That can be a scary prospect, but the good news is there are plenty of places out there that can make you feel safe and welcome. And when in the right place, a solo trip — regardless of how long it is — has the power to benefit you for years or even a lifetime thereafter. Before I traveled alone, I was pretty terrified, mostly because I didn’t think I’d like my own company enough to be solo 24/7. I was delighted to find that I met new people constantly (something that’s true for solo travelers in general). When on the road, people are social. Most people who visit South Africa head right to Cape Town or Kruger National Park, and while those spots are both popular for good reasons, why not take a look at the orange, rocky, rugged bush called the Karoo as well? It’s safer than Cape Town and less crowded than Kruger. It didn’t take long for the Karoo to feel special to me while I was staying on a farm there, appropriately called The Rest. As a solo traveler, a great way to get to know the area is to do some kind of workaway program at such a place. 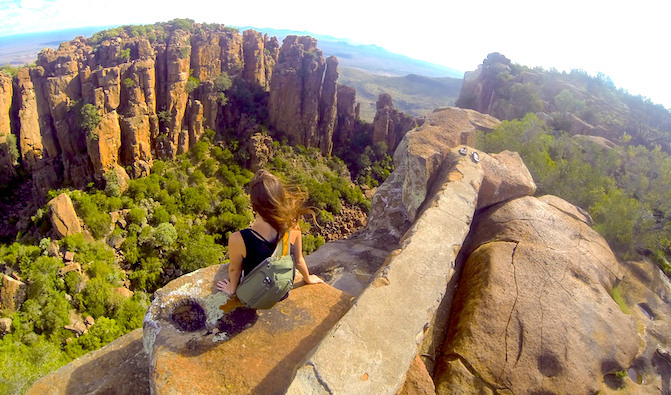 Why it’s great for solo female travelers: South Africa, with its high levels of crime, might not initially seem like a logical destination for solo female travel. However, the rural parts, like the Karoo, are so isolated and far from the sometimes-dangerous bustle of the cities that staying with a family there and learning how to work the land can be both a safe and character-building experience. Plus, with all of that space and time to feel and think, it can promote a lot of personal growth. Such a desolate landscape, with almost nobody and nothing around, can give you much time and freedom to think and feel, which is one of the greatest benefits of solo travel. Yubeng is a remote village in the Chinese Himalayas that can only be reached by foot or mule. 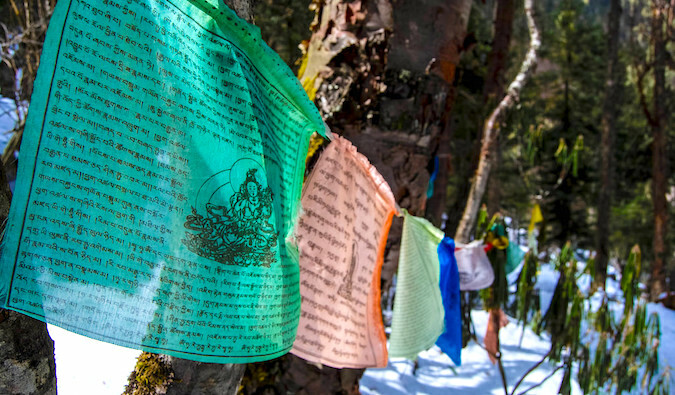 During the hike in, I saw Tibetan prayer flags strung from tree to tree, snow softly falling, and animals roaming freely all throughout the town. There are stupas (mound-like structures containing relics and used for meditation) everywhere. Yubeng is peaceful in a way that much of the rest of China isn’t. The feeling is hard to explain, but it’s felt by all who pass through. If you’re overwhelmed with the rest of China, seek refuge in Yubeng. Why it’s great for solo female travelers: In the big cities, scams often target young female tourists, but in the Himalayas, you’re more of an esteemed guest. The friendly people of Yubeng are so relaxed, patient, and welcoming, as are the younger tourists who flock there, often with some English-language ability and curiosity about foreign visitors. As a solo traveler, I was worried that I would be completely going this one alone, but I was surprised and delighted to find that young and friendly Chinese people take this route too, seeking the same sacred place. Maui isn’t typically what comes to mind when most people think of a solo trip, but with all its activities — from surfing and hiking to driving the road to Hana and taking boating and snorkeling tours — it’s actually a great place for those flying solo. With its constantly changing microclimates, the beautiful island has pockets of sandy sunset beaches, sprawling resorts, quaint little camping spots, and hikes through the valley. Why it’s great for solo female travelers: The cool thing about Maui is that it feels like a different country than the States, what with the tropical weather and Hawaiian culture, but you don’t need a passport, an RTW flight, or to learn a different language to enjoy it. 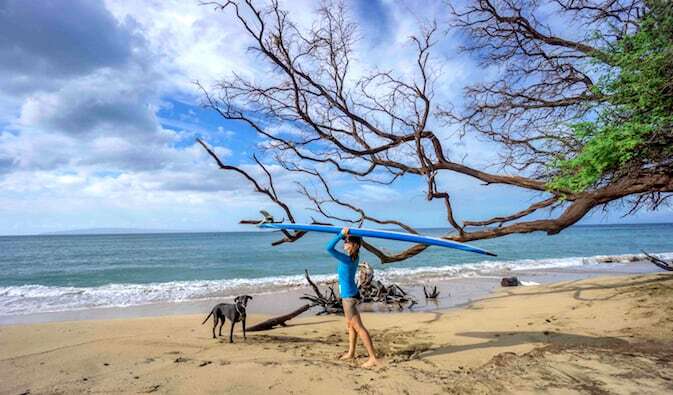 Plus, there are female-focused activities — like the Maui Surfer Girls camp, designed specifically for solo female travelers who are looking for a supportive group of women to take up a new sport with. It’s an experience that is both empowering and fun! 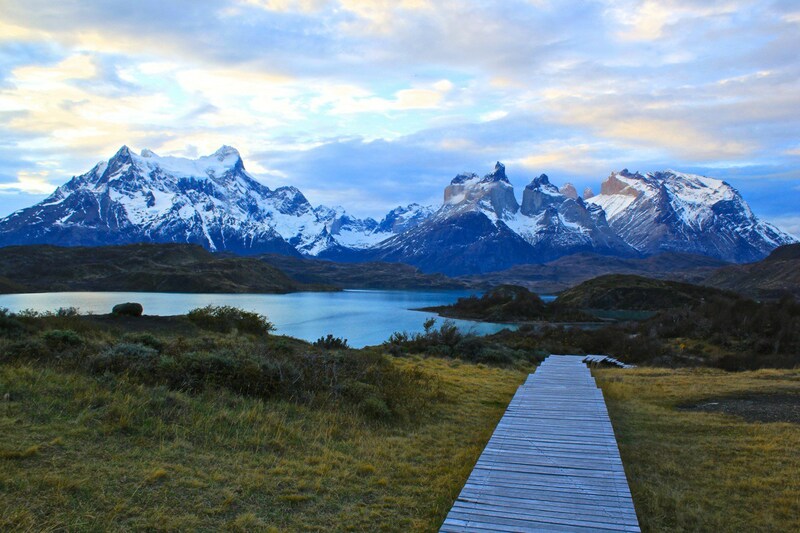 If you love nature, there’s almost no better spot in the world to enjoy it fully than in Patagonia. 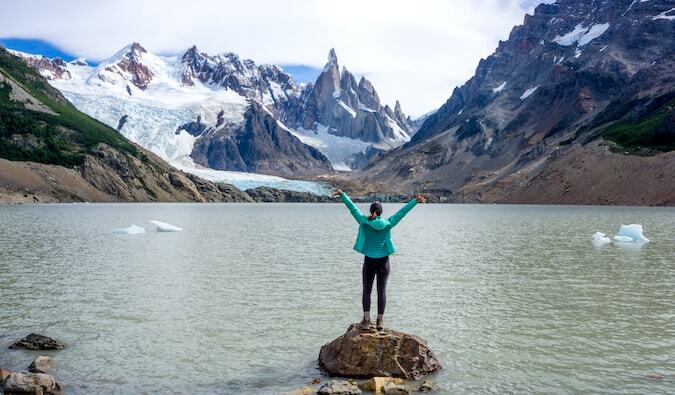 Much of the region can be quite remote, but El Chaltén is Argentina’s trekking capital, and as such there are plenty of hostels there, and the whole town is totally chilled out. It also draws plenty of solo travelers who are open and happy to meet others to share the trails with, some of whom I met and hiked with when I was there (albeit not solo myself), and we left as new friends. 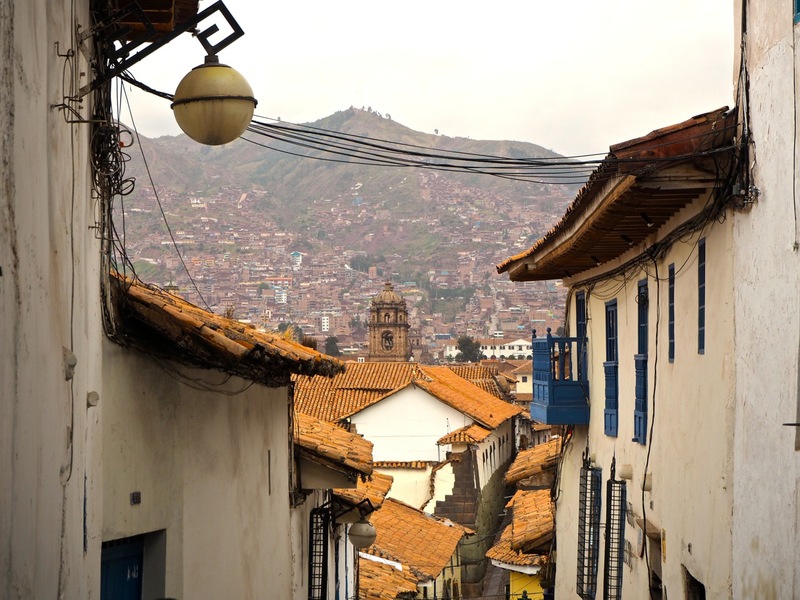 Why it’s great for solo female travelers: With its constant catcalls, South America can sometimes feel stressful for solo female travelers, but this trekking town is different. It’s full of nature-loving artists and hippies who are welcoming, as well as hikes that are full enough of people that even if you show up solo, you can easily meet others on the trails. 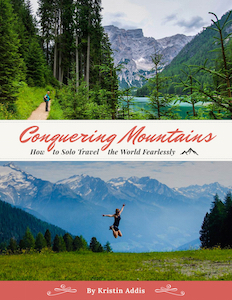 So, you could spend time in town just chilling and relaxing, or you could join glacier hikes, learn how to rock climb, or go on camping excursions, all of which accommodate solo travelers. It hit me as I was staring up at the Northern Lights in Iceland, watching them swirl and snake across the sky in flashes of green, that this has got to be, hands-down, one of the most unique and drop-dead gorgeous places on this planet, with its black sand beaches, icy fjords, and those huggable, iconic ponies. Where else can you see the northern lights, geysers, and incredible land formations all in one spot? I saw so many waterfalls, I stopped counting anymore or even paying attention. That’s how abundant the natural beauty is! 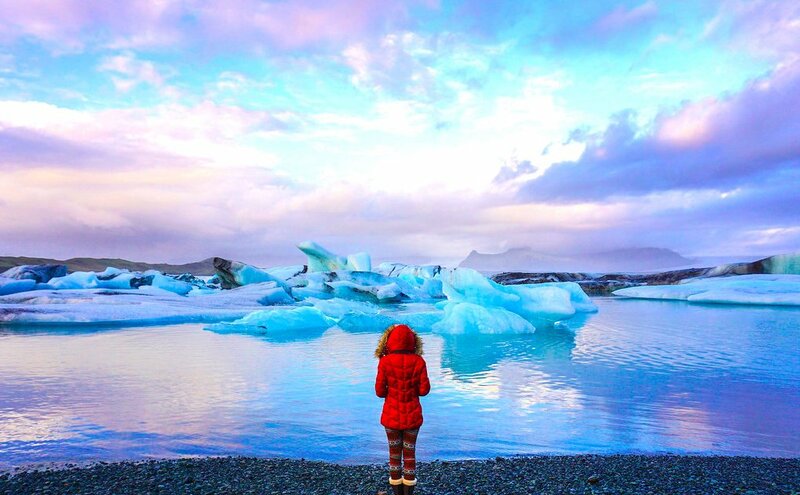 Why it’s great for solo female travelers: Iceland is the safest country in the world. Seriously, people leave their cars running, with the keys inside, when they go grocery shopping. That’s how high the level of trust between people is! 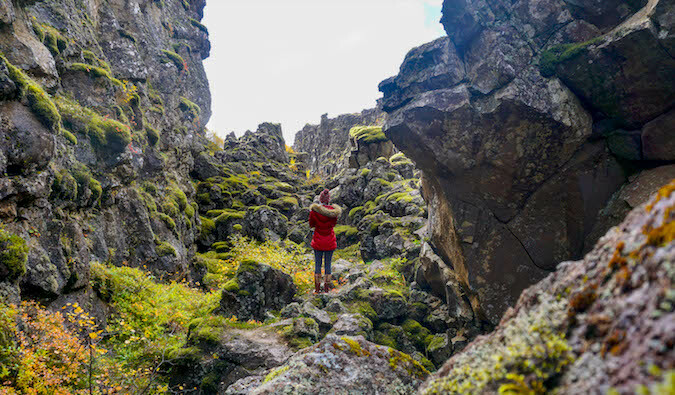 Plus, the capital draws so many solo travelers on layovers from the US that it won’t be hard to meet someone cool at your hostel to split a car rental with for a day trip like the Golden Circle or even a longer journey like the Ring Road. When thinking about an escape, heading to the Arctic during the winter was not exactly at the top of my list, but after experiencing how amazing the Arctic could be in Iceland, I went for it: Lapland, Finland, in January. I found that when the weather is so cold that it drops to 30° below freezing, the air becomes incredibly crisp. Also, that far north, the sun barely sits on the horizon during the short time that it’s out, creating an an unusual combination sunrise/sunset. Why it’s great for solo female travelers: The locals are so darn amiable that you’re sure to make a few friends, especially if you head to the female-owned-and-run Aurora Estate, where the owners can help you plan some awesome excursions snowmobiling and snowshoeing. 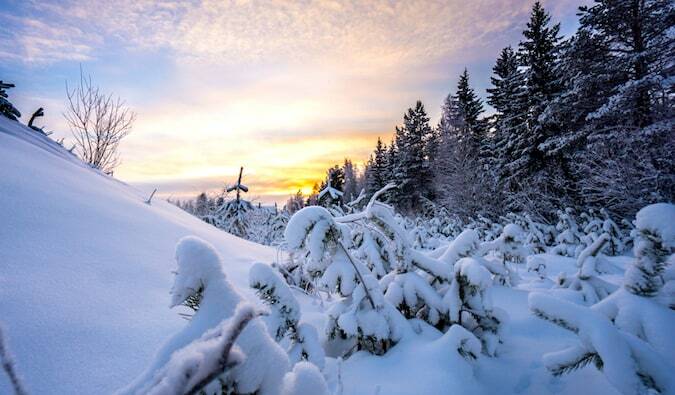 The region is also home to the only ski slopes in the country, which tend to draw solo travelers. Head to an after-ski bar, join a husky safari, or talk to the locals in Snowman World (ice bar and restaurant). Who knows? You might catch the Northern Lights, too! I call California home, but for some reason it took me until I was 29 to finally visit Big Sur — and I couldn’t believe what I had been missing: the rocky coastline, whales breaching in the distance, dolphins just about every time I looked at the horizon, and waterfalls in the state parks. 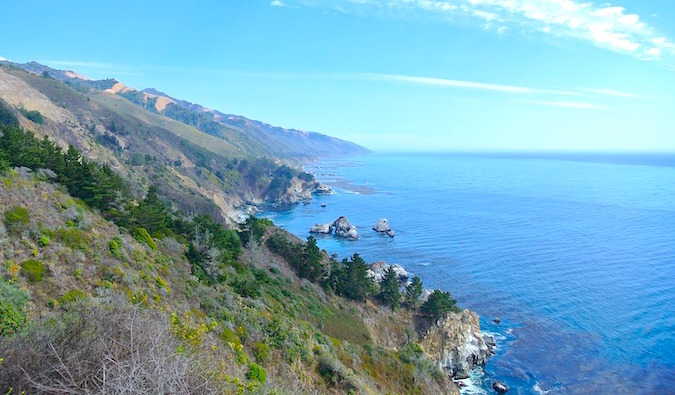 It’s no wonder that the Central Coast has long enchanted actors, poets, and writers (just crack open any book by Jack Kerouac and you’re bound to read at least a little bit about coastal California, particularly Big Sur). Why it’s great for solo female travelers: Camping in Big Sur is the perfect opportunity to meet others, because campers are friendly. Chances are good you can make a pal at the very next camping spot, especially if you offer them a locally-brewed beer. The hustle and bustle of Los Angeles turns some visitors off, so if what you’re seeking is some incredible nature, just head five hours north and you’ll be in paradise. How can you stare up at a redwood tree (some of the largest and oldest trees in the world) and not feel moved? Those who have never been to Bayfield might be scratching their heads, wondering how Wisconsin made this list. But trust me on this one, because it’s a unique Midwest gem. It’s a tiny town full of artists, and people are incredibly friendly, living up to that Midwestern charm. Just about every person I met there seemed to have the time to stop and talk to me. And you absolutely cannot beat the amazing sea caves! There’s something really special about kayaking through them. 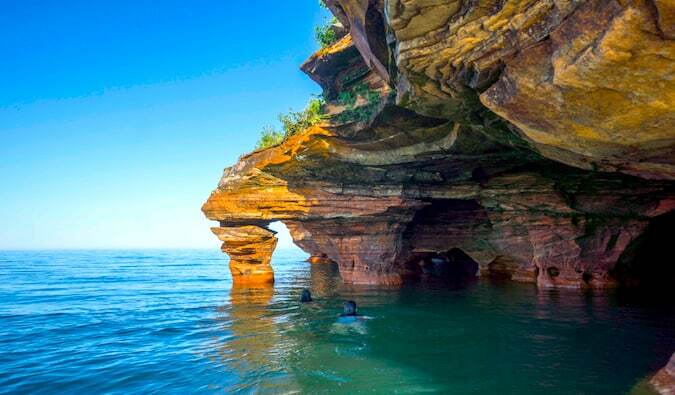 Or jump on a boat, sail around Lake Superior, and live a bit like Robinson Crusoe. Why it’s great for solo female travelers: I was afraid that Bayfield might be lonely since it initially seems like a family destination, but I made friends easily on kayaking tours around the caves, which accommodated me as a solo traveler, and found it easy to speak to people working in the restaurants and even on the sidewalk. Plus, it’s a safe place with low to no crime, so as a solo female traveler, you can even camp alone and enjoy the solitude. It might seem like a barren desert isn’t the place to enjoy by yourself, but I have found it to be quite the opposite. That kind of space to think and feel can really be incredible for personal development. Plus, in Namibia it’s warm and dry, so the sky is absolutely incredible for stargazing. Climbing up and around Dune 45 at sunrise was a beautiful experience for me. After everyone else descended, I stayed up top to explore a bit more — and I had the whole view to myself. Can you imagine sitting in one of nature’s biggest sandboxes and having it feel like it’s all yours? My inner six-year-old rejoiced. 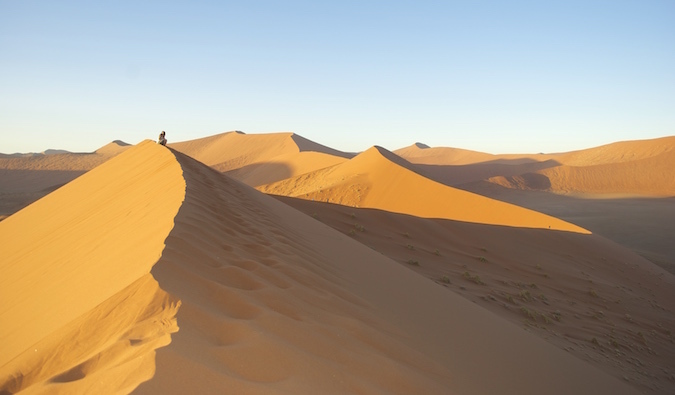 Why it’s great for solo female travelers: Namibia is adventurous and social without feeling dangerous. All of the backpackers and camping accommodations have pools and other common areas, which makes it easy to meet others if you’re solo. It’s also a gorgeous destination in Africa that isn’t crowded and chaotic, and is more about the peace and space than anything else. In a country of only two million people, your biggest worry is the scorpions (for real, though — watch out for those!). 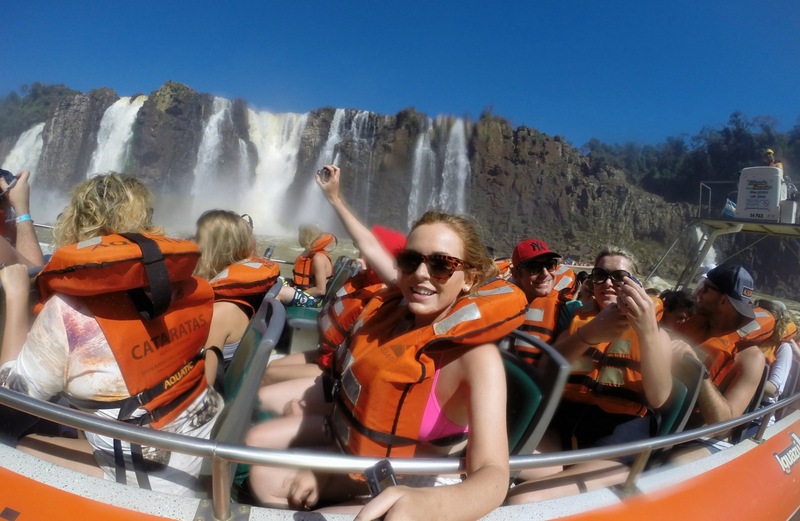 You can also join a tour or safari and meet plenty of other solo travelers. It’s what I did, and what Matt did too when visiting the area. How did a big city make this list? Well, Berlin is not just any city; it’s full of artists and has been for the past 30 or so years. It’s hard not to feel inspired in a place where so many people make their living by creating and honoring their passions. This is why I’ve also made it my home base and became a resident of Germany. I just couldn’t be without this funky place for too long! Though it’s the capital, Berlin doesn’t feel crowded because it is so spread out. And with so many big parks in just about every neighborhood, peace and quiet is easy to come by. Why it’s great for solo female travelers: Berlin draws many solo travelers, and it’s easy to meet others. It’s also a socially progressive city with a low violent crime rate that’s simple to navigate and easy to love. 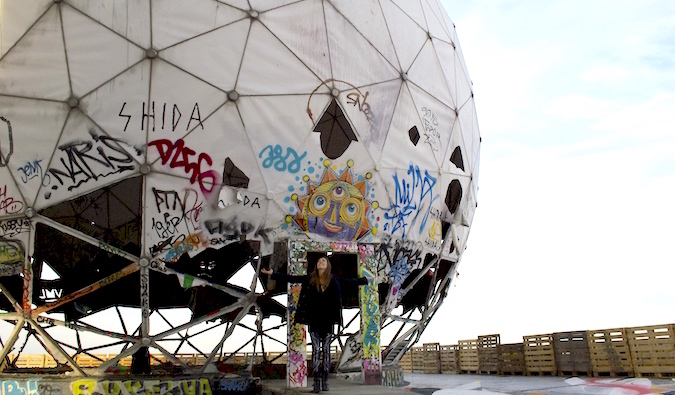 Take a street art tour and combine everything at once! There are also tons of expats, so check out a Meetup.com group or a Couchsurfing event to get a mix of visitors and those who are more familiar with the city. While solo traveling and soul-searching don’t lend themselves to a one-size-fits-all approach, generally the places that draw solo travelers are the ones that are the most interesting and unique, provide opportunities to enjoy nature and connect with others (and with yourself). Regardless of which place you’re targeting in the world, with these options covering just about every continent and style of travel, you can find a place that suits you. Travelsfor.me is your travel partner. We are a very experienced team, willing to give you the best tips and information. We collect many post from the best travel site to bring to you the best option to enjoy your time with your family, most of them, with 360° travel content Have an awesome experience!